Tim Ferguson is a comedian, producer and writer. 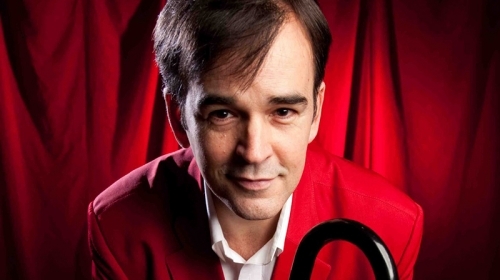 He toured internationally with comedy trio the Doug Anthony Allstars (DAAS) for a decade. The Doug Anthony Allstars regularly appeared on various Australian TV shows including THE BIG GIG (ABC) as well as on British TV including FRIDAY NIGHT LIVE (ITV), VIVA CABARET (Ch 4) and their flagship show DAAS-LOVE (BBC). He has written for sitcoms including DAAS KAPITAL (ABC), SHOCK JOCK (Foxtel, Comedy Channel UK), the online drama series FORGET THE RULES and the feature film THE EDINBURGH YEARS. Tim’s hosting/writing credits include DON’T FORGET YOUR TOOTHBRUSH (Nine), UNREAL TV and BIG BROTHER INSIDER (Ten). CARRY A BIG STICK is Tim’s latest book, in which he openly talks about life with MS. In the book, Tim speaks about coming to terms with the diagnosis and balancing Multiple Sclerosis (MS) with his career on the world comedy stage with his hilarious wit and admirable honesty. 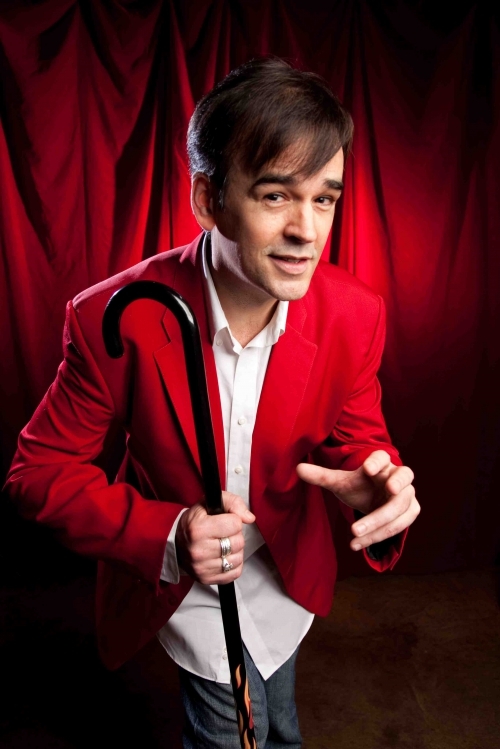 In early 2013, Tim performed his hit show CARRY A BIG STICK as part of the Melbourne International Comedy Festival. At the recent 2014 Canberra Comedy Festival the Doug Anthony Allstars did a reunion sell-out show, and have now added a new set of dates around the country. In addition, Tim also teaches screen comedy for AFTRS, RMIT, Sydney Film School and VCA.